Motivation Tin Signs: This summery tin sign is sure to bring some light into your home and give off some happy vibes. 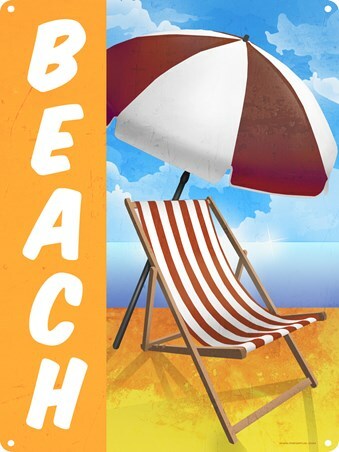 The item is illustrated with the caption 'Beach' running down the left side with a very cheery image of a beach chair and umbrella. 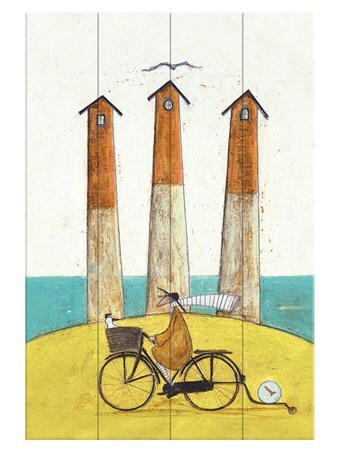 You are sure to be halfway to the seaside to grab an ice-cream once you see this sign, simply a great addition to any home.